Our Cerasis Freight extension retrieves freight rates via the Cerasis 3PL Logistics Carrier. With Cerasis you are able to retrieve rates from upto 60 different Freight Carriers (including FedEx, Yellow/YRC, Con-Way, R&L, Estes), with additional options to show cheapest carrier or select from your preferred. 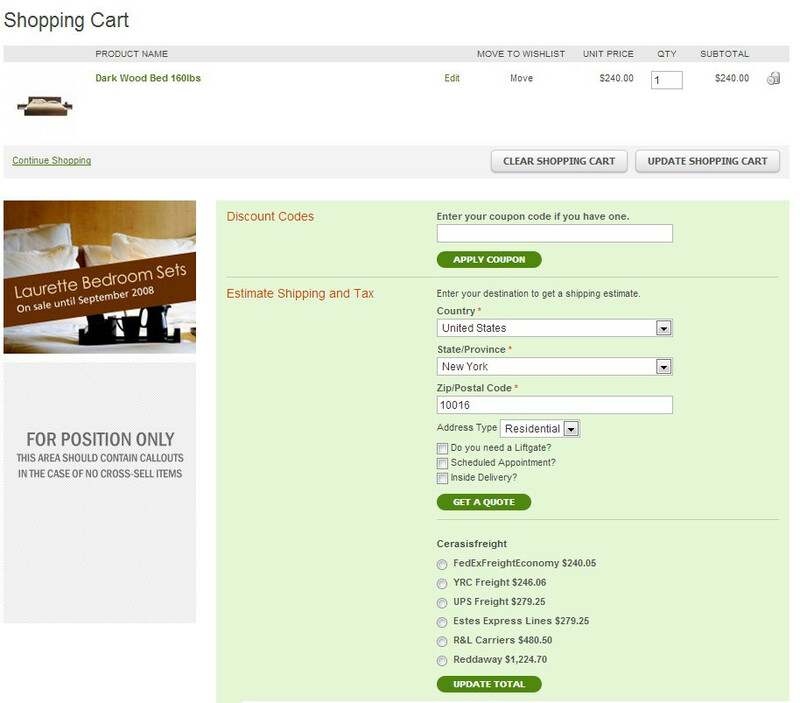 Has options to offer freight shipping only when an item marked as freight is in the cart, or if a pre-defined weight limit is exceeded, this extension is ideal if you sell a mix of freight and non-freight items. 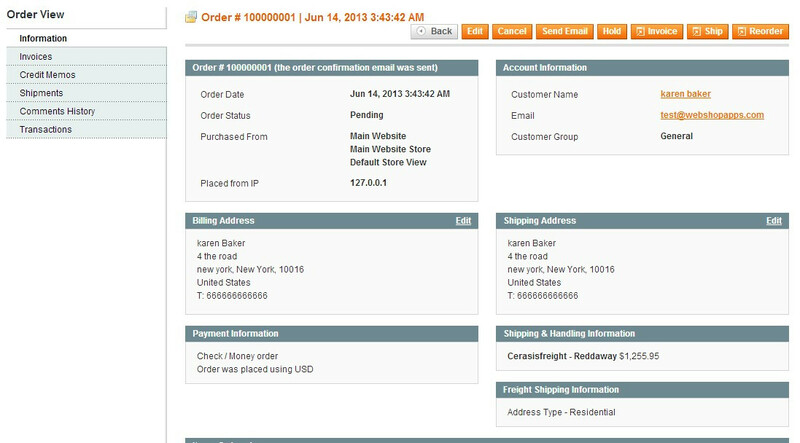 Contains support to book & track shipments via Magento direct. No need for an additional 3rd party interface. 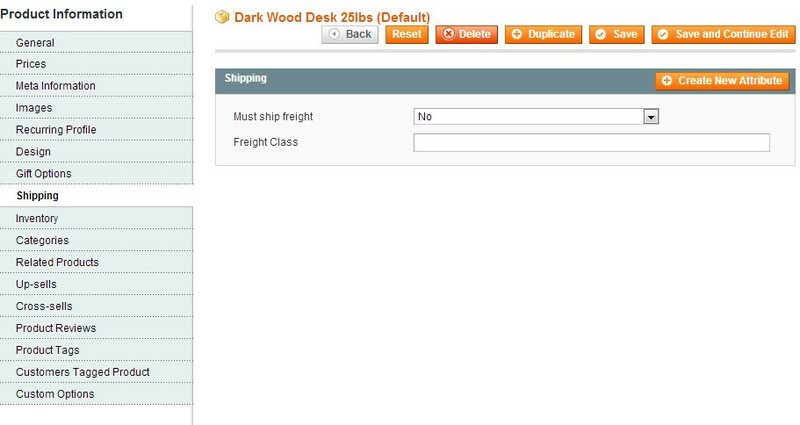 Please Note: This is a lightweight version of the Cerasis extension, lacking ability for customers to select accessorials at checkout, and limit shipping options to freight only when freight items in cart or minimum weight threshold met. Once you have registered with Cerasis we will make available the full release. 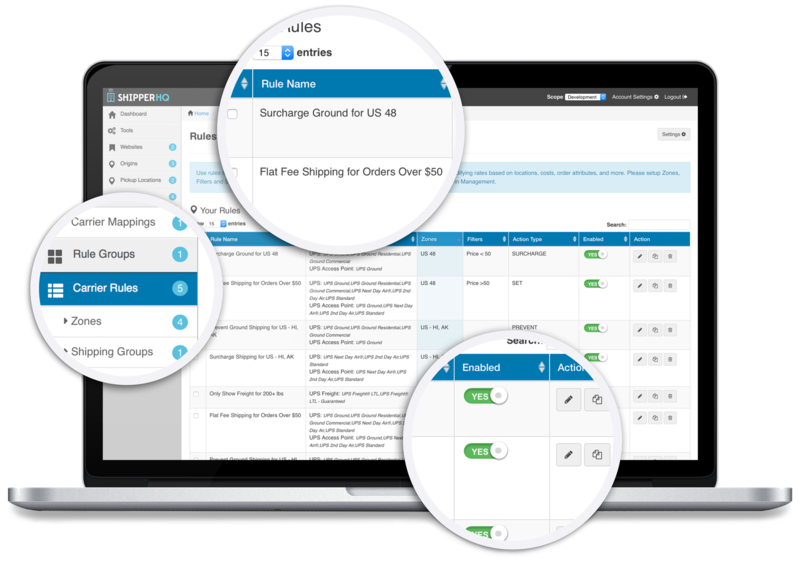 ShipperHQ embodies the same functionality that allows you to retrieve freight rates via the Cerasis service along with more than 30 other major carriers. 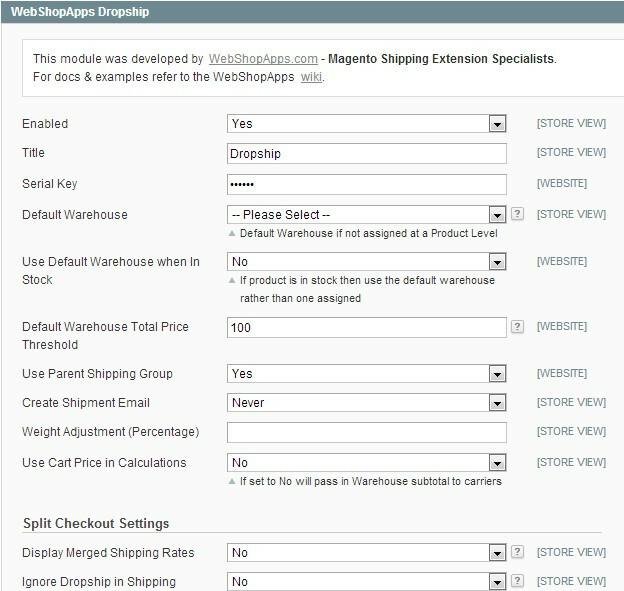 We have combined this with functionality from more than 40 of our most popular WebShopApps extensions to give you full control of the shipping in your cart within one easy-to-use dashboard.